The Eiffel Tower is on her travels again with a new mission. Her friend, the glass pyramid of The Louvre dreams of meeting her famous big sisters, the pyramids of Giza. Head to Egypt! But the Journey is not straighforward and when they arrive, the two famous landmarks are caught in a sandstorm. 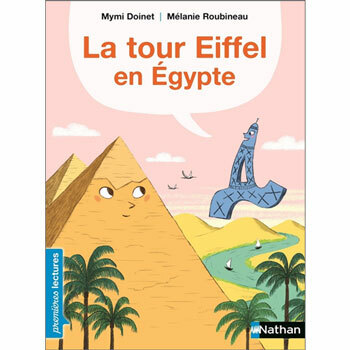 La tour Eiffel en Égypte is written entirely in French and would require the teacher or parent to have a reasonable knowledge of French to read this to a young child.